Choosing a best laptop for school work is a difficult task specially when you are at a short budget. If you are looking for a laptop which can help you to do your school work, play games and do some leisure activity then this post is for you. In my earlier post I have written about 7 Best Laptops for Fortnite. 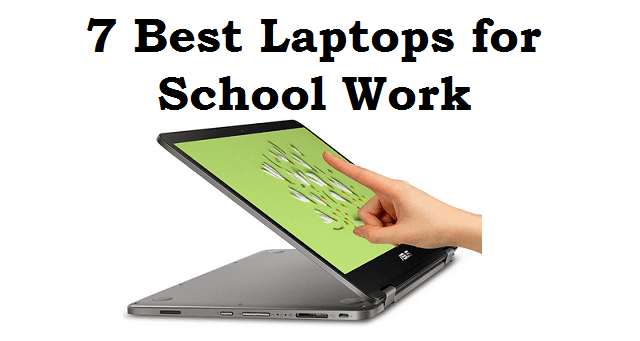 In this post I will list 7 best laptops for School Work under 500 dollars. If you are on a high budget then you can also explore our list of 7 best laptops for School Work under $1000. HP Flagship is an awesome 15.6 inch HD WLED back-lit touchscreen display laptop. It is the best laptop for School Work under 500 dollars. It comes with 7th Generation Intel Core i3 processor. It has 8GB DDR4 RAM with 1 TB of HDD space. It has DVD-RW. It comes with Windows 10 operating system. It gives battery back up of up to 4.5 hours. Lenovo Premium is another great high performance HD laptop with 15.6-inch display screen. It is one of the best laptops for School Work under 500 dollars. It comes with powerful AMD FX7500 Processor. It has 8 GB RAM with 1TB of Hard Disk. It comes with DVD-RW along with Bluetooth, WiFi, Webcam, etc. It has Windows 10 operating system. It comes with AMD Radeon R7 Graphics. It gives battery backup of up to 3.5 hours. 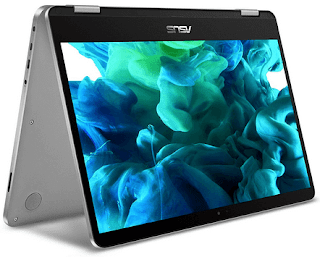 Asus Vivobook Flip 14 is an amazing 2-inch HD touchscreen laptop. It is thin and light in weight. It comes with Intel Quad Core Pentium Processor with 4 GB of DDR4 RAM and 64 GB of EMMC Storage. It comes with Windows 10 Home operating system. It has a 14 inch glossy screen with NanoEdge HD Wide view technology and touchscreen display. It comes with Intel Integrated Graphics. It is just 3.3 pounds which makes it easy to carry while you travel. Dell Inspiron is another best laptops for School Work under 500 dollars. It comes with 15.6 inch HD Touchscreen display. It has 7th Generation Intel Core i5 Processor which is great at such a low price. It has Intel HD 620 Graphics. It comes with 8 GB of RAM and 2 TB of Hard Disk space to store your important data files. It comes with Windows 10 OS. It is a lightweight laptop which makes it easy to carry while you travel. It gives battery backup of up to 4.5 hours. Asus VivoBook is another great laptop which comes with a powerful 8th Generation Intel Core i5 processor. It has 8 GB of RAM along with 1 TB of Hard Drive. It has NanoEdge Display Technology. It comes with Windows 10 operating system. It gives battery backup of up to 4.5 hours. Acer Aspire E15 is a high performance laptop which comes with 15.6 inch of full HD display. It has 7th Generation Intel Core i7 processor which is really amazing at such a low price. It comes with 8 GB of DDR4 RAM and 1 TB of Hard Disk space. It has Windows 10 operating system with Integrated Intel HD Graphics. It's average battery life is 6 hours. Dell Inspiron 5000 is an another great laptop which comes with 15.6 inch Full HD Anti-Glare LED Backlit Display. It has Windows 10 Home operating system. It comes with AMD A-10 Quad Core Processor. It has 8 GB of RAM with 1 TB of Hard Drive space. It comes with Radeon RX 460 Graphics. So here I have listed 7 best laptops for School Work under 500 dollars budget. Do let me know through comments if you've planned to purchased any of the laptops given above.